The entire smartphone industry, not just Apple, appears to be feeling the pain. 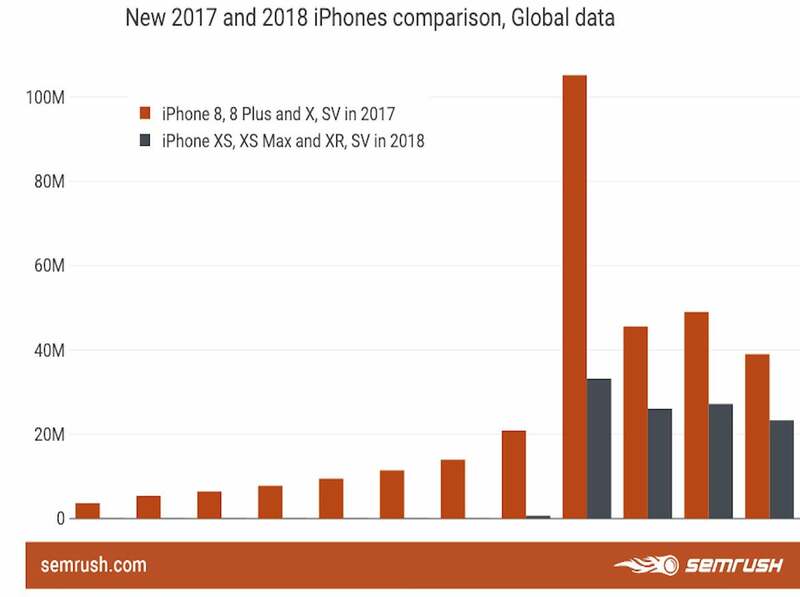 Claims the smartphone market is contracting are confirmed by new data received from SEMRush — and the entire industry, not just Apple, appears to be feeling the pain. 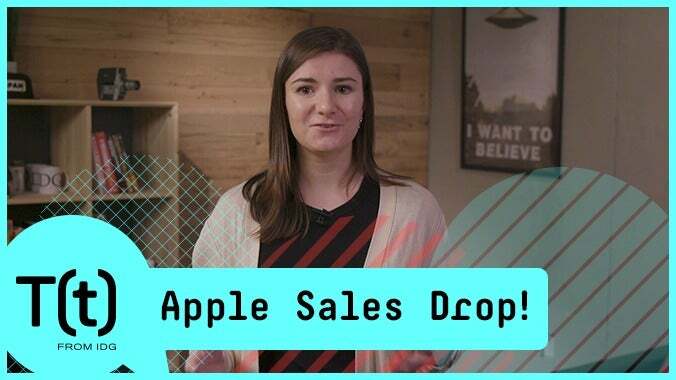 Apple recently admitted to slower than anticipated iPhone sales in its biggest-selling quarter, reducing estimates and attributing this damage to a variety of factors. The world’s biggest smartphone vendor, Samsung Electronics, has also confirmed its own big dive, with a 30 percent decline in profit. Since then, we’ve seen component vendors worldwide report disappointing, lower than anticipated, or more or less flat results in the quarter. Analysts describe a contraction in sales volumes across most markets, and there is concern this contraction is likely to impact other industries, suggesting a more widespread pattern that could lead bigger challenges. I believe that if consumers aren’t buying products, then it is likely we will see less general interest in those items. If that is the case, then I thought we might see a decline in interest shown in those items online and contacted SEMRush to see if they could provide data that supports my theory. 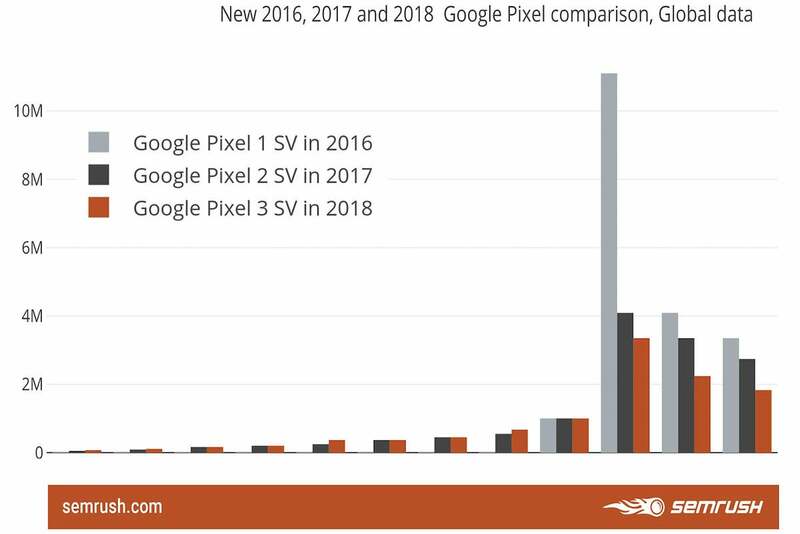 The charts reveal, for example that there is less interest in the current crop of Pixel devices than met the introduction of the first-generation device. They suggest little excitement around Samsung’s new models, and they confirm what we already knew about iPhones. What’s really important about these charts is that they help indicate future consumer purchasing patterns (as reflected in search traffic, so not a perfect measurement) on a global scale. 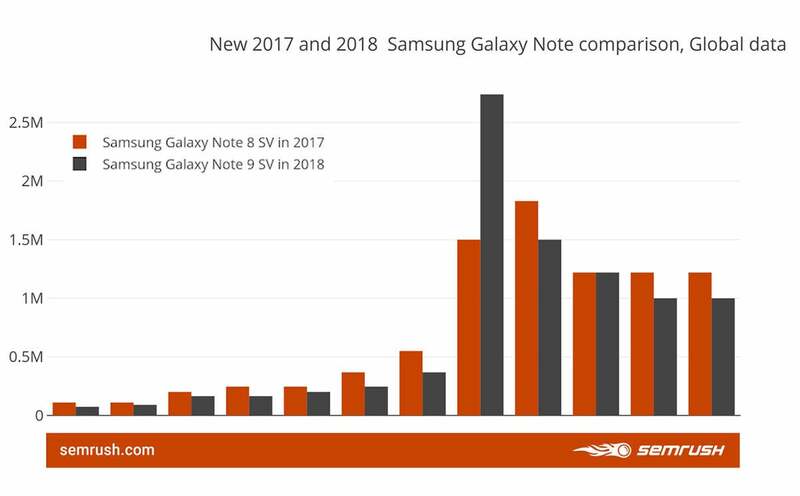 Together, the charts suggest the biggest names in smartphones will experience tough market conditions in the coming months, as interest is clearly not as strong as before. While attention is focused on smartphones, questions must inevitably be asked around other markets. Car sales, for example, are predicted to decline following a surprising bounce in 2018. We don’t yet know how U.S. retail spending performed across the holiday season, as the Commerce Department is closed, though it is interesting that Apple seemed to remain buoyant in the U.S.
We can anticipate some smaller smartphone manufacturers will be forced out of the market – they will find it harder to create sustainable revenue as pricing pressure moves the top segments down a notch. 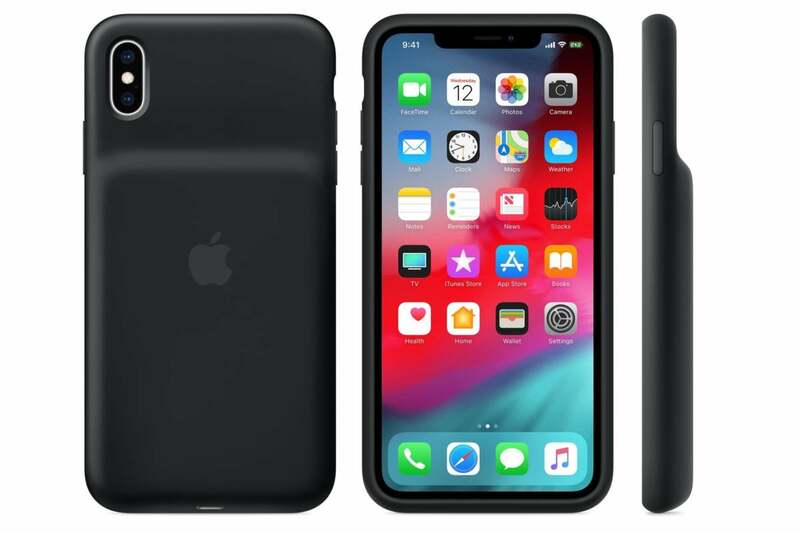 Smartphone manufacturers with their own unique technologies (such as Apple’s industry leading processors), operating systems, or production facilities will fare better than commodity players. Peers in the Android market will be under intense pressure from low-cost manufacturers, incoming players expanding their reach (Huawei, for example), and the need to fight for profit share in a highly competitive sector while offering more or less the same product/OS, further eroding already tight margins. The company that most quickly makes the transition to delivering attached product and services sales, such as headphones, wearables, music and media services, to its existing customers will hold a significant advantage over those who do not. It will have revenues competitors lack. Customer loyalty is a very important metric in this brave new world. Even if customers shop less frequently, happy shoppers are far more likely to stick with the same brand. This game’s not over, but a transition has certainly begun.